Over the past two weeks, we’ve published about a dozen, “old buildings made new again,” from CoLab contributors across the globe. Historical buildings that have been preserved and adapted for new uses, they’ve ranged in age from 85 to 1,600 years old. 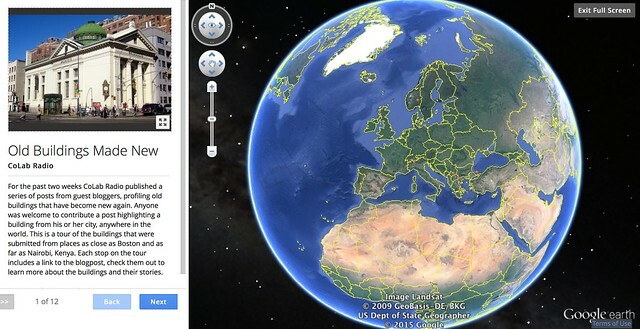 The google tour below takes you on a virtual journey to all of them and provides some geographic context. This is the final post in the series responding to the question, “What’s Happening at the Oldest Buildings in Your Town?” You can read all the posts published as part of the series here.